It’s been five years since Christ Church Cathedral’s Social Justice Action Group (“SJAG”) started working with the Truth and Reconciliation Commission (“TRC”). During this time, they have taken action to make amends for the suffering caused by Canada’s residential school system. In honour of this five-year anniversary, Rising Up! presents a short overview of the history of residential schools and a timeline of the group’s efforts to mitigate their residual effects. From 1831 to 1996, the Canadian government ran an aggressive assimilation program that saw hundreds of thousands of Indigenous Peoples’ children taken from their homes and housed in institutions. Away from their families, culture and familiar surroundings, the children suffered everything from malnutrition to physical and sexual abuse and death. The effects of this injustice continue to have a serious impact on the lives and well-being of Canadian First Nation, Metis and Inuit communities and remain a crucial barrier to reconciliation. This knowledge is what motivated SJAG to support the TRC’s mandate to rectify the legacy of residential schools and advance the process of Canadian reconciliation. Accordingly, the group has mostly focused on promoting Call 62 of the TRC and raising awareness through discussions. Long-time active parishioner and Lay reader Vivian Lewin describes the work as mainly going to meetings and lobbying behind the scenes. “This work done by individuals sitting in rooms is not spectacular and does not cost money—it is a gift of time and attention, another way of being Christ in the world,” she says. January 2013: Anne Douglas, a member of SJAG and of McGill University’s Anthropology Department, is invited to attend the press conference launching the Truth and Reconciliation hearings in Montreal. This captures the attention and interest of other group members, who decide to do whatever they can to support the Truth and Reconciliation process. April 11, 2013: With SJAG’s blessing, Jan Jorgensen organizes an evening of storytelling, poetry, and drumming with Sandra Sjollema and Idle No More activists. Idle No More is a grassroots movement for Indigenous sovereignty and the protection of land and water. All proceeds from the event are given to Sisters in Spirit—an initiative led by Indigenous women to research, educate, and spread awareness about the issue of violence toward First Nations women. April 24–27, 2013: Members of Christ Church Cathedral and of SJAG, including one member with a family connection to the residential schools, attend the Truth and Reconciliation hearings in Montreal. The hearings, which last four days, consist of presentations in which survivors and their families recount their experiences, as well as films and other materials that provide context for understanding the firsthand testimony. At least two SJAG members attend each session. May 31-June 21, 2015: Christ Church Cathedral and 50 other Anglican churches throughout the country ring their bells to raise awareness about missing and murdered Indigenous women. The goals are to encourage people to find out about the issue and get information as to how they can help bring about change. June 2, 2015: SJAG members attend the Truth and Reconciliation Commission closing events in Ottawa. Again, one SJAG member volunteers for the duration of the event. The release of the Truth and Reconciliation Commission’s final report inspires parishioners and SJAG to continue their support and involvement. June 3, 2015: Former Dean J. Paul Kennington speaks out on CBC Radio Homerun Program. Bells were tolled 1122 times at the Cathedral each Wednesday, reflecting the number of murdered and missing women the Cathedral was aware of at the time the event was planned. June 7, 2015: SJAG sponsors an event entitled “Justice for Indigenous Peoples”. A mediated discussion, it creates an opportunity for Indigenous and non-Indigenous people to give their perspective on the findings of the TRC report and to determine the next steps needed to support Canadian reconciliation. April 30, 2016: SJAG and Christ Church Cathedral host a day-long educational event on Call 62. Indigenous representatives and specialists from educational institutions are invited to guide SJAG on the most effective way to support the Call. Kevin Deer, former principal of the Kahnawake Survival School is among the presenters, speaking on the challenges of education in his community. Summer 2016: SJAG invites the congregation to participate in a letter writing campaign asking for a reform of the Quebec secondary education curriculum in accordance with the recommendations of Call 62. Members of the parish write more than 70 letters to the Quebec government. December 4, 2016: SJAG holds a discussion on the History Curriculum Statement forwarded by Carol Meindl—Executive Director of the Quebec Federation of Home and Schools Association. End of 2016: SJAG donates half of its 2016 outreach budget to be apportioned among the Montreal Native Women’s Shelter, Native Montreal, and the Kahnawake Survival School. May 20, 2017: The Cathedral, SJAG, and several other Cathedral representatives participate in an interfaith conference on the United Nations Declaration on the Rights of Indigenous Peoples, which informed the TRC recommendations. Work is ongoing following this event. End of 2017: SJAG’s 2017 outreach donation goes in its entirety to the Montreal Urban Indigenous Health Centre. February 4, 2018: SJAG invites lawyer Catherine Fagan to the Cathedral to speak as a follow-up on their work with the TRC. Her areas of practice include Indigenous, constitutional and environmental law. She also works with Indigenous clients on a variety of matters which include negotiating resources, developing community laws, and securing deals to protect their environment. The timeline above focuses primarily on SJAG’s involvement with the TRC, but the group has been active on Indigenous Peoples’ issues since its launch in 2011. Back in the 1990s, then Dean Michael Pitts called attention to residential schools when he posted Archbishop Michael Peers’ apology for the church’s part in it (full apology here). The work of reconciliation and healing is a slow and arduous process. It will not happen overnight. There is a saying at the core of First Nations beliefs and spirituality: “All my relations”. It reflects the interconnectedness of all beings and races and promotes our shared values of peace and brotherhood. Rising Up! salutes the SJAG volunteers who have dedicated themselves to the important task of helping us all grow respectful and inclusive relationships. It has become increasingly clear that social and ecological justice really cannot be separated. At their last meeting in 2017, SJAG members decided to rename their group “Ecological and Social Justice Action Group”. There is an ecological component to many of the issues SJAG addresses and this is especially true when working with Indigenous Peoples. The new name also reflects the group’s commitment to treating the environment as a justice issue in its own right. 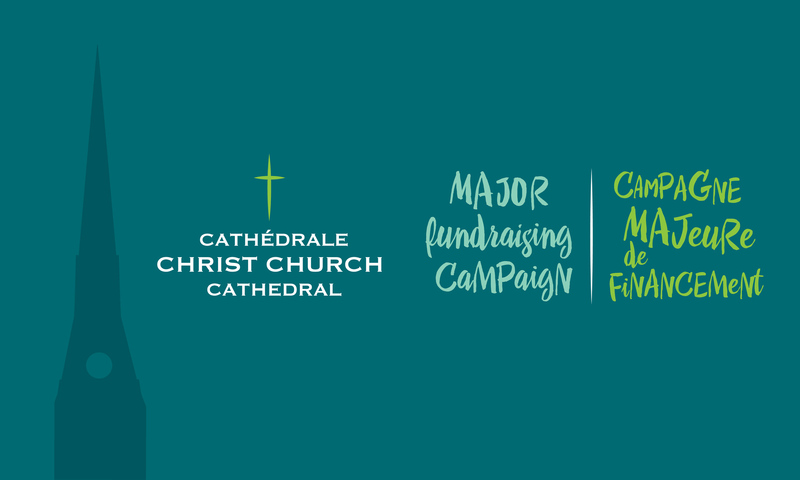 Our Campaign was initiated to pay for urgent repairs to the spire and to fix the Cathedral’s electrical system and masonry, all of which had reached unsafe levels of disrepair. Our Social Justice Action Groups all work out of the building, the central location of which is ideal for them to conduct their activities. The dissemination of information and opportunities for advocacy often take place during citywide events and street fairs. Your donation to the campaign will help pay for repairs to the exterior and to the roof and allow us to upgrade the electrical, heating and lighting systems. Of the proceeds of the Campaign, $100,000 will go toward the installation of an electronic lift to give people with reduced mobility access to the mezzanine area used by the Sunday school, the choir, and community groups. To donate to the campaign, click here.